Ford’s Theatre Then vs. Now: Why is the Stage Slanted? Today, Ford’s Theatre produces renowned plays, vibrant musicals and newly commissioned works that evoke Lincoln’s legacy and the American experience—all on a stage designed in the 1860s.Theatre traditions have changed greatly over the last century and a half, but the Ford’s stage remains true its 19th century beginnings. In this blog series about theatre in the past versus the present, we will shed light on the kind of theatre Lincoln would have expected to visit, and how that impacts creating new works in the same space today. For the audience, raked stages can be blessings. By sloping upward, they help make choreographic designs clear. Indeed, the reason why they slope at all is to provide such clarity. 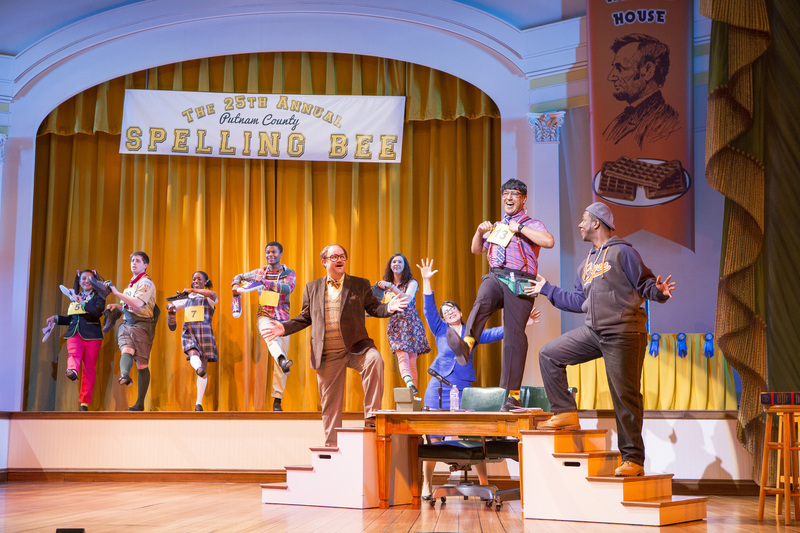 The cast of "The 25th Annual Putnam County Spelling Bee" at Ford's Theatre. Photo by Scott Suchman. The ensemble cast of the Ford’s Theatre and Signature Theatre co-production of “Hello, Dolly!” in Washington, D.C. Photo by Carol Rosegg. Though historic Ford’s Theatre offers one of the few remaining raked stages in the United States, all modern actors use terms inspired by this theatre tradition. 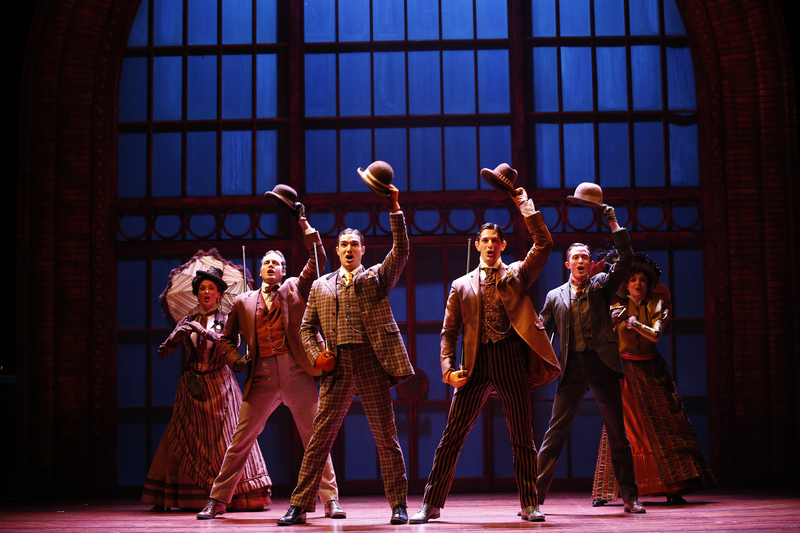 In rehearsal, actors refer to the playing area at the back of the stage as “upstage,” and the part of the stage positioned closest to the audience as “downstage.” In historic theatres like ours, these terms literally refer to whether the actors are standing higher up (toward the back) or lower down (near the front) on the stage. For modern designers like Watson, the rake’s placement on the Ford’s Theatre stage provides certain constraints. Set pieces must be constructed on a special raked platform that mimics the Ford’s Theatre rake, which local scene shop TSA has on hand for its frequent work with the theatre. This process, known as “counter-raking,” ensures the items will sit upright when brought onto the actual stage. 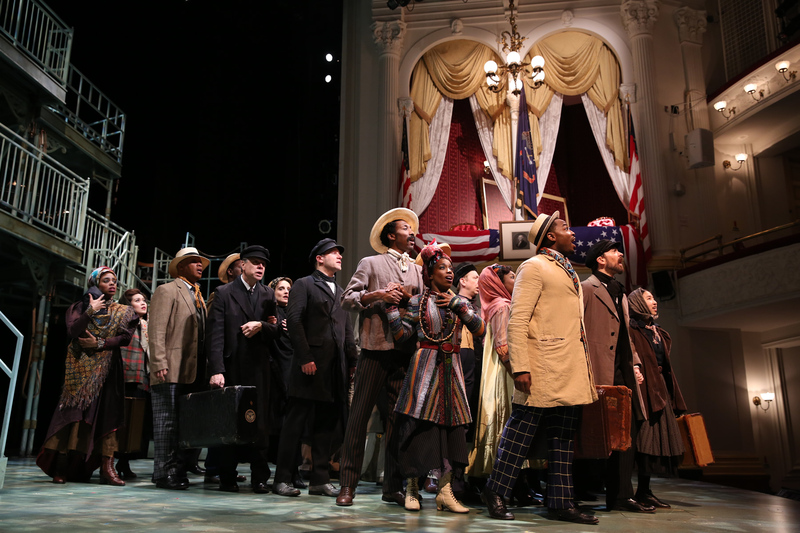 Photo of the cast of "Ragtime" by Carol Rosegg. Raked stages also provide challenges for actors—especially dancers—because of health concerns caused by performing on a sloped surface. John Wilkes Booth performed dramas with athletic flair on the Ford’s Theatre stage. In his book April 1865, historian Jay Winik writes that Booth was famous for “difficult leaps that he used to announce his first appearance on stage” and stage combat. Check out some dance highlights from the production to see the end result of our cast and Karma Camp’s work. Check our blog next month for another Then vs. Now post–we will uncover the history behind the “Family Circle” sign hanging outside the theatre.